My own Irish heritage, as well as the desire for an outlet to express years of my own pent up emotions and frustrations inspired me to write this story. My character, Aislinn, is very similar to myself, and the other characters all drew from people who have played a part in my life, as well— some good and others, obviously, not so good. The story of Cailín was derived from many experiences quite personal to me, and then gave them a paranormal twist. 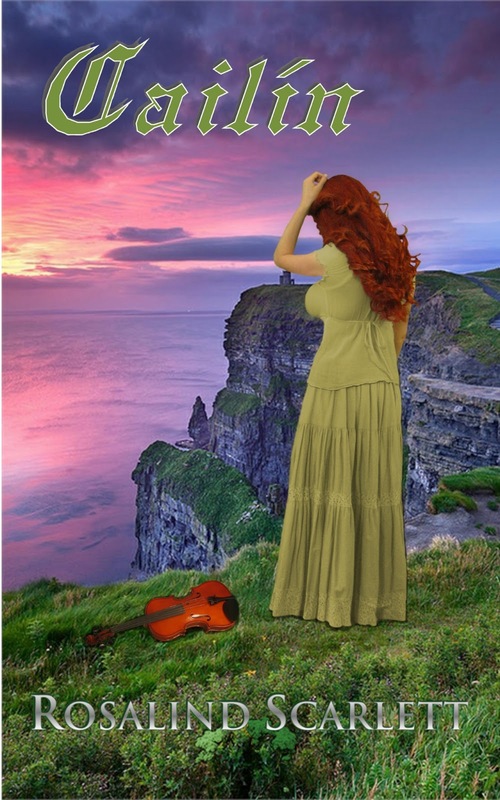 In creating this story, I combined my love for my ancestral Ireland with my affinity for music, horses, love itself, the supernatural and vampires. While writing Cailín, I poured everything of myself into it, and at the end of each writing day, I would be so drained, a total void, it sucked me dry— hmm, not unlike a vampire . . . I took an everyday young girl who doesn’t think herself anything special and heaved her into a world which contradicts everything she prided herself to be. Aislinn is forced to struggle to adapt and feel her way through her new uninvited life. She makes a lot of mistakes and is quite naïve, but she grows stronger with each new crisis she encounters, though she does not believe herself to be strong. Aislinn has so much she is not aware of, and will have to endure rather a lot before she discovers what it is that makes her unique and just what her purpose is. Aislinn’s name is not only a popular old Celtic name, it is derived from the Gaelic word, aisling, meaning visions. This is significant to her because having foretelling visions is her driving special attribute throughout the entirety of this series. What was your inspiration for this series? My original inspiration came from spending some time actively researching my Irish family ancestry a couple years ago, which just led to more and more curiosity and looking at more things about the area and culture. While my family comes from County Galway rather than Clare, still it is along the same rugged west coast of Ireland that my ancestors and my main character derive. I would say, all in all, she and I have many similarities. All my life I had wanted to write a novel and with my fascination with vampires, emotional and human behavior, sexuality and the darker side of humanity, it just seemed the natural things which to revolve a story. The series just developed organically, each idea branching into others until eventually it became the foundation for a series. I have some great plans for the rest and it is still and always will be developing— likely even after I have all the books out and published! Then I suppose I will just have to find another place to put those belated ideas. What Characteristics do you Share in Common with your Character? Aislinn, the main character in the series is basically derived from me on several levels. All of her characteristics are either something I now possess, once possessed or aspire to possess. Other than the obvious shared hair color and Irish background, I once was naïve as she, yet also headstrong, and I only wish I could have been as bold as she is. I also share her tendency to analyze things and wallow in emotions, experiencing the highest of highs and the lowest of lows. What do you hope your readers come away with after reading your book? My goal is to have my readers experience each and every one of their emotions invigorated, coming away with the sense of relating to my characters, as well as a driving hunger to find out what happens to them and unravel more of their secrets. A love which transcends existence . . . It is the year 1702. 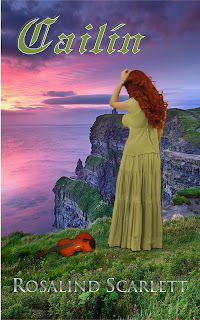 Aislinn, the daughter of a sheep farmer in western Ireland, is a tenacious redheaded lass who has NO intention of ever settling into the dutiful roles of marriage and motherhood demanded of her by her father. The only thing she has ever wanted is to pursue her dreams of being a professional fiddler, and that is fully what she intends to do— with or without the blessing of her family. Nevertheless, all that, and so much more, is about to change when she is unwilling persuaded into participating in her older cousin’s girlish, traditional Celtic love spell to see the face of the lad she will be destined to marry. Aislinn doesn’t take it at all seriously, until that night when she dreams of a handsome dark-haired lad— just as she was told would happen. Falling for some charming lad was never part of her plans. Only now, Aislinn cannot seem to shake her obsession with him— nor does she want to! And though she never looks back after he comes into her life, things seem to do anything but fall beautifully into place. The vision of Donovan was not the only vision that Aislinn had ever experienced. She had always felt out of the ordinary somehow. She just didn’t know why— yet. Her father never misses an opportunity to rebuke Aislinn for her peculiarities. He accuses her of being a changeling of the sidhe, the dreaded faerie folk of Ireland that delight in causing mischief for decent folk like him. Perhaps she is. Fact is, for most of her life, Aislinn has been tormented by strange visions. And now, every one of them is about to manifest themselves to her. 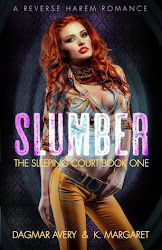 Just when all Aislinn believes she wanted is right within her grasp, she awakes in a strange bed in a castle surrounded by Vampires and the commanding presence of a striking man with an otherworldly attraction. She has no idea of his intentions, but from the shivers surging down her spine she is certain she’s about to find out. Everything is about to change . . . She finds herself heaved into a world of secrets, violence and lust so powerful— it will either consume her or destroy her. The thing is, Aislinn has no earthly idea of who or what she actually is. To discover the secret for herself, she will embark on a quest which will test her strength and devotion more than she could ever have imagined. But first, she’ll have to lose everything! Rosalind Scarlett lives in Boulder, Colorado with her loving and supportive husband, two rambunctious little boys, her beautiful Great Dane, Isis and her proud bunny, Micah. She holds degrees in Psychology and Interior Design. 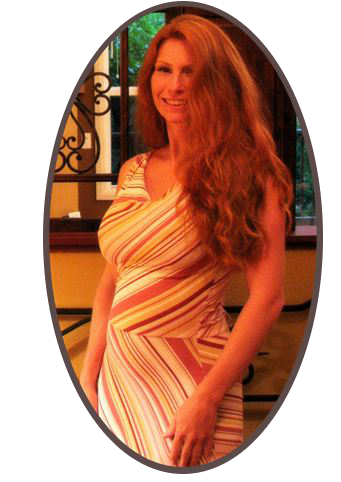 Rosalind is zealously proud to be of Celtic ancestry. When not immersed in her writings, Rosalind's passions are reading, listening to music, yoga, spiritual exploration, organic gardening and living, riding horses, transforming ugly, old houses to their former splendor, riding bicycles with her family, hiking, mountains, lush evergreen forests, foggy mornings, falling snow, feeding old bread to small critters and watching nature form her deck on crisp evenings with a glass of wine. 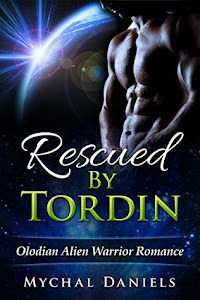 Rosalind is giving away 3 copies of her fabulous book!! Just fill out the rafflecopter below to enter!! Good Luck! Best wishes on your new book. It sounds like its a fun read. It sounded like a coming of age story, but throw in the mystery and intrigue that she seems to be facing, I can't wait to read it! Thank You both, Betty and Latochia! I hope you will enjoy it, as well! It is so wonderful to hear from potential fans! It sounds great. I love the cover and the setting. Definately the setting and the paranormal aspects of it. Thanks for sharing your love of your history and culture. Wishing all the best, and continued success! Thanks so much Debby and Wanda! I love the setting, too, which is of course, why I chose it! Thank You for your good wishes, Darcy! Funny, my son's name is Darby, and at one time he had a crush on a girl named Darcy! I love Ireland and the visions she has of Donovan. I would be interested in reading about her journey. That the setting is in Ireland (quite uncommon for me) & that it contains Celtic lore. Thank you Divavixenqueen, Skye47 and Linda! I hope you all do get the chance to read it! It is wonderful and surreal to know so many are excited about something I spent so much time working on! I just love a good romance and this one looks great! Thanks for the giveaway! The time period & location are of great interest for a start. I look forward to a fabulous read. I have goosebumps! I have to read this book! I love her name & how it is derived. Goosebumps, goosebumps, goosebumps! Best Wishes to all of you in the Giveaway! I hope you will all have the chance to read Cailín. I love all things that have to do with Celtic lore.